✔ Buy 4 Free Shipping. We are going to sell out 1000 items at the lowest price USD $9.9. 4 hours later, the rate will be reset to its original cost USD $15.98. Avoid the expense of employing a plumber with the Drain Filter! 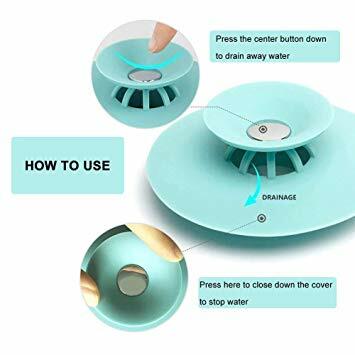 Its three-layer design ensures that no hair gets through and prevents food debris and dirt from blocking the drain. It can be used in the kitchen sink, shower drain, bathtubs, etc.